In this seminar, recognized professional coach and instructor, Ross Bentley will share and speak from his 30-plus years of experience in instructing and training instructors; not only providing the theory behind great instructing, but delivering specific tools and techniques that instructors can put to use immediately. 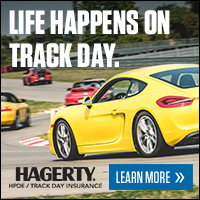 With his most recent release of his widely acclaimed book “Brake, Brake, BRAKE: The HPDE Instructor Manifesto” and his free eBook (HPDE-Instructor-Tips.com), this promises to be a very well attended and popular conference. In short, attendees will learn how to bring out the best in their student, keeping them safe, happy, and fast. This presentation will be Saturday April 15, 2017 at Chelmsford Center for the Arts at 1A North Road, Chelmsford, MA. Onsite registration begins at 8:00am with the presentation beginning promptly at 8:45 am. Born in Vancouver, British Columbia, Bentley grew up in a racing household (father was a race mechanic, brother a mechanic and driver). He became one of only seven Canadian drivers to race in the CART Indy Car series in the 1990s; he continued his professional career in endurance racing. Bentley won the 1998 GT3 United States Road Racing Championship and the 2003 SRPII Class Rolex 24 Hours of Daytona. From as far back as our roots in 1952, Kachel Motor Company has always revolved around the love for the automobile. Whether it was selling Studebakers over a half of a century ago, to the state of the art Porsche racing shop we are now, Kachel Motor Company has always been about the love of the automobile. KMC has been perfected throughout the years, now focusing on maintaining and building Porsche road and race cars. Our certified technicians are not only extremely meticulous in their work, but will make sure your Porsche is safe and running exactly as it did when it originally left Stuttgart. As an enthusiast run shop, we treat every vehicle as if it was our own. If you want to squeeze every last drop of performance out of your car, KMC is here to help. We specialize in building Porsche Cayman Race Cars for the new Cayman spec series. If you’d like to make your Cayman even more unique, we can swap in a 3.8L engine out of a 911 for you. In addition to our racing focus, Kachel Motor Company specializes in custom in-house fabrication, making sure our parts are tailored exactly to your vehicle’s needs. Whether it's creating a custom exhaust for a V8 Swapped 996 or full custom headers for a Ferrari F40, it’s been done here. Once your car is built, KMC can also be your crew at the track. We offer a full track service including track inspection at our shop, vehicle transportation and full maintenance at any track event you so desire.